I am short sighted with a prescription of -7.25 in my right eye and -7.75 in my left, so without my glasses on or lenses in I literally cannot see a thing. Aside from the obvious frustration of needing glasses or lenses in the first place, there are some real daily struggles that come with having a prescription THAT high. The first and most frustrating problem is the thickness of the lens. Obviously with a high prescription a larger correction is required, generally resulting in a thicker lens and one which is often visible within the frame of the glasses themselves. Vision Express have various lens sizes available, so the first and most obvious way in which you can combat this is by purchasing the thinnest lens that they have available for your frames. The thin and light lens will reduce your lens thickness by 25% and is priced at £64. The thinnest lenses Vision Express have available will reduce your lens thickness by 50% but cost £180. All do however include anti reflection and a scratch resistant finish. 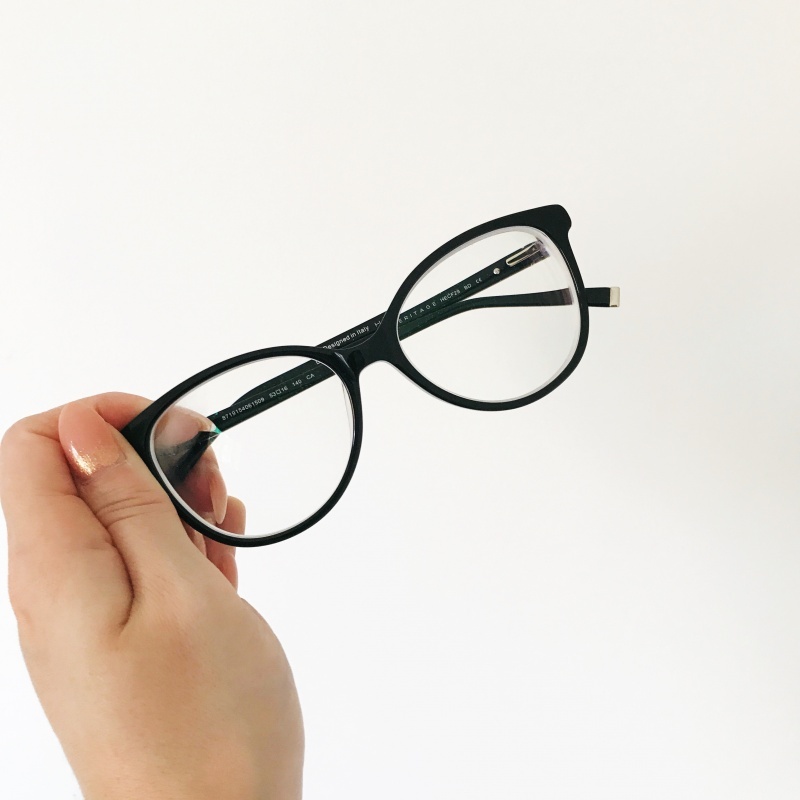 Tip: I selected the thinnest possible lens when ordering my new frames, however this can be pricey and may not always be something that you are able to afford, so one alternative is to pay more attention to the style of glasses you pick. I have found that the best way to disguise a thicker lens is to opt for a full plastic frame. In recent years “geek glasses” have made a huge comeback and now from a trend point of view of huger than ever. Those who wouldn’t normally wear glasses are wearing them as a style choice rather than a life essential, so opting for a chic plastic frame is totally a thumbs up. When I first started started wearing glasses invisible frames were in fashion, so you can imagine my dismay when I discovered that my prescription was not really suitable for this style and in reality was never going to be invisible. I was distraught and felt seriously self conscious. Over the years I have trialled numerous plastic frames and the best piece of advice I can give you as a high prescription wearer is to embrace the fact that you need glasses and make them an extension of your personal style. If you pick a frame perfectly suited to your personality then you will learn to love wearing glasses more and more. If you have an edgy and bold style, pick an edgy and bold frame. Go for the bright colours and unusual shapes, such as the cat eye. If you have a classic and elegant style, go for a classic black rimmed frame. Pick something that represents you and won’t make you feel out of your comfort zone, especially if you are picking glasses for the first time. The wall of glasses in the store is there for a reason; there is a colour, shape and style for every person. Trial and error is the best way to find your match and if it takes you all day to try on every pair on that wall then do it. Buying glasses can be expensive, so make sure you are happy with your investment. It is very easy to get drawn into thinking that you need to buy designer frames to look good, especially when you first get told that you need to wear glasses. I promise you, you don’t. 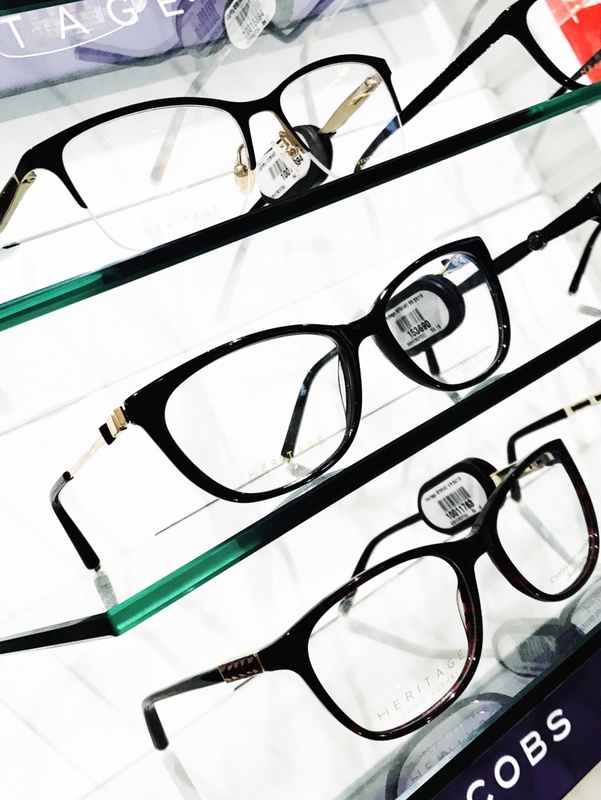 All major opticians have their own line of frames to rival designer ranges and Vision Express is no different. 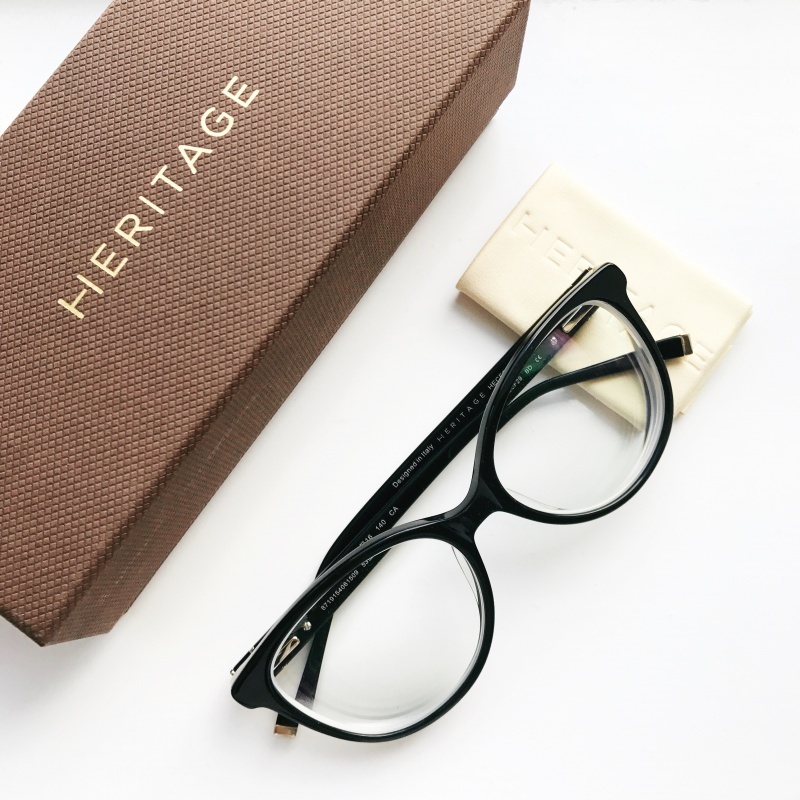 The frames I have picked this time round are from Vision Express’ Heritage collection, very similar to those by Gucci, Dior or Jimmy Choo, only without the price tag. They are simple classic black frames with gold detailing on the arm, perfect for any occasion or outfit and bang on trend. They cost £185 and definitely challenge their designer rivals. Tip: Save your cash on the frames and spend the money on thinner lenses instead. You won’t regret it. When you’re long sighted the lenses of your glasses will magnify your eyes, making them look bigger and when you’re short sighted the lenses of your glasses do the opposite, making your eyes appear smaller. Obviously the higher your prescription the more noticeable this is. So if you are long sighted then you can opt for slightly heavier eye make up, but if like me you are short sighted then avoid heavy make up at all costs as it will only close your eyes in, making them appear even smaller. When you initially pick your glasses in the store, what make up you wear won’t matter too much as the glasses will all have clear lenses in. However, when you pick your glasses up don’t be surprised if they look slightly different to when you first tried them on. They now have your prescription in so you need to start thinking about tailoring your eye make up accordingly. I tend to opt for really neutral eye make up with invisible band long false eyelashes to really open my eye area and rock a bold lip colour instead. That way I have done my damage limitation when I put my glasses on and the lens makes my eye appear smaller. Tip: Let your glasses do the talking. They are the feature for your eyes, so accessorise them accordingly. One of the things I struggle with when wearing my glasses is feeling off balance and disorientated. This is partly because I wear lenses most of the time so I am not as used to the sensation of wearing glasses, but in the past has been because my frames have quite narrow edges and so I can see the blurred world over/ around the lens. The first and most obvious solution to this is to wear glasses more. Get used to the sensation and you’ll soon feel more at ease and less off balance. The second solution is to pick frames with a wider lens, thus covering more of your face and leaving less space for you to see around the edge of. The caveat to this is however that in doing so you will see more of the thickness of the lens within your frame. When the glass lens is cut to go into your glasses the thinnest part of the lens is in the middle, which means that the larger the glass needed for your frames, the thicker the lens will be at the edge of your frame. Tip: Bigger frames, thinner lenses. I often have problems with the glare of lights on an evening when wearing my glasses or contact lenses, which is especially problematic when driving. You can get anti reflection coating on your glasses which helps to prevent the hazy edging and glare of lights when you are driving, watching TV or using a computer. Vision Express spoke to me about their anti reflection plus blue which adds a blue coating to your frame minimising the glare from computer and televisions. The downside to this does however come when you are driving as it can often give headlights a blue glare, making you think a police car is constantly pursuing you. I opted for the reflection plus at £39 to minimise the glare and avoid the blue flashing lights. However if you wanted to add the anti reflection plus blue this is at a cost of £59. Tip: Coatings can be great, but think carefully about what you will be using your glasses for before ordering. Will it make your life easier or cause you more frustration? Can you really justify the spend for how often you will be using them? The biggest frustration for any glasses wearer is undoubtedly the cost. 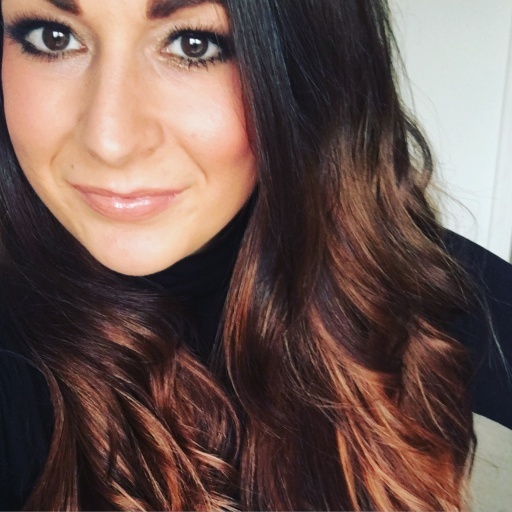 It was my pleasure to collaborate with Vision Express to write this post and share some of my top tips for dealing with a high prescription with you. In exchange they kindly allowed me to pick these fabulous new frames by Heritage which are currently available in Vision Express stores and online here. That’s a really comprehensive and well written post – thank you. oh that’s great to know there’s free eye tests- i love those frames too!